Brazil is known as a haven for biodiversity—20 percent of all living species are found within its borders—and the Amazon rainforest often steals the spotlight as an ecotourism destination. Scratch the surface, however, and another region emerges to offer what is arguably an even better wildlife-watching experience. 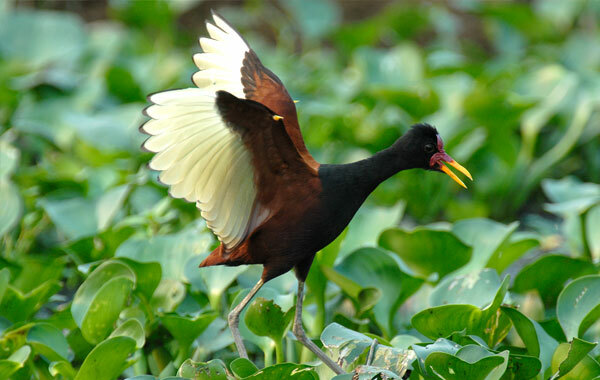 Dubbed “Brazil’s best-kept secret” by National Geographic, the Pantanal is the world’s largest tropical wetland. It’s best known for its high concentration of flora and fauna, making it attractive to photographers, birders, and other nature lovers. With recent policy changes making the country more accessible, is the timing right for a Pantanal expedition? 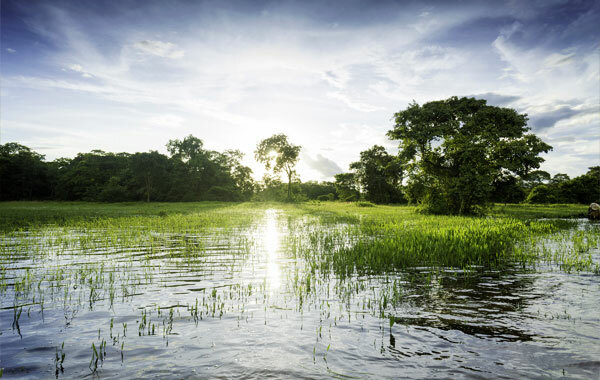 Encompassing an area roughly 20 times the size of Florida’s Everglades, the Pantanal in western-central Brazil is a place of superlatives: it’s the largest floodplain in the Americas and one of the world's largest freshwater wetland ecosystems. Its mosaic of biomes includes semi-arid woodland, tropical Amazonian rainforest, and savanna. According to the World Wildlife Fund, the region hosts the greatest concentration of wildlife in South America. What’s more, compared to the dense foliage of the Amazon rainforest, the Pantanal’s open marshes make it relatively easy to spot wildlife, even from a distance. “I think it’s most often compared to East Africa in terms of the wildlife viewing experience, just because you have such amazing fauna there,” says Andrea Holbrook, President of Holbrook Travel. 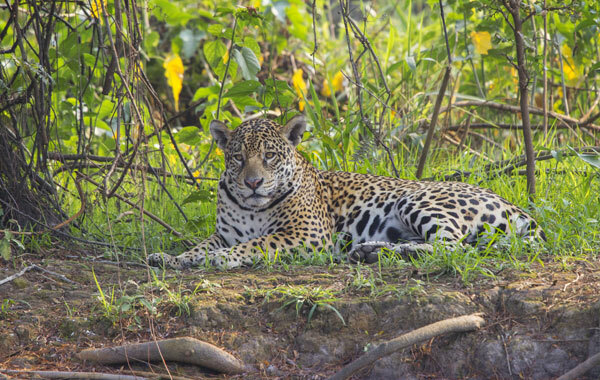 Conduct a quick online search of the Pantanal, and you are almost certain to find mention of the largest native cat species in the Americas: the jaguar. With an estimated 1,000 individuals, the Pantanal is home to one of the largest and healthiest jaguar populations on Earth, and they are some of the area’s most sought-after residents. While the jaguars are often the star of the show, the Pantanal protects numerous other threatened species that are equally fascinating, such as the maned wolf, giant armadillo, giant anteater, giant otter, marsh deer, and the Hyacinth Macaw, the largest species of parrot. 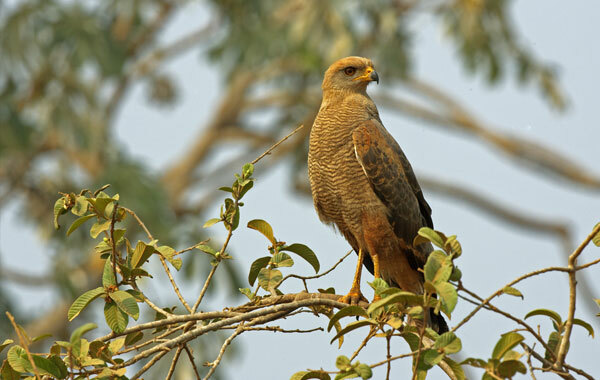 Other common animals include capybaras, caimans, tapirs, the large stork known as the Jabiru, piranhas, howler and capuchin monkeys, toucans, and green anacondas. In all, an astonishing 3,500 known plant species, 1,000 bird species, 400 fish species, 300 mammalian species, 480 reptile species, and over 9,000 different subspecies of invertebrates have been recorded here. While the Pantanal has seemingly flown under the radar for many years, Andrea says her company is seeing a surge in interest at the moment. As travelers become more aware of the amazing opportunities here, travel providers like Holbrook Travel are working to broaden their offerings and keep up with demand. “The Pantanal has certainly been on our radar for years, but for whatever reason it’s really getting hot now,” says Andrea. “It’s very hot among wildlife photographers, because of the availability of this really exciting fauna, and the photographers tend to be the pioneers, in a way. As their images start to propagate throughout the world, it’s a great way to lay the foundation for getting the word out about a destination,” she says. 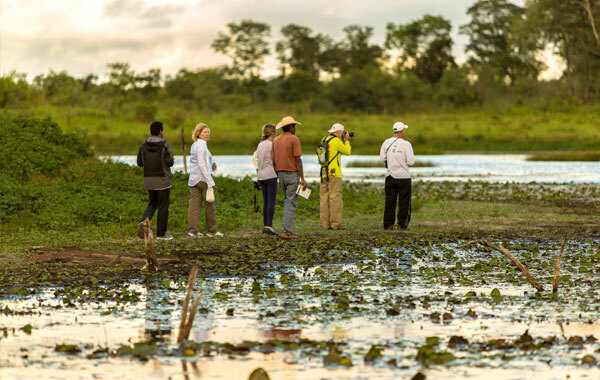 Birders, botany enthusiasts, nature lovers, and even student groups are discovering that the Pantanal is an intriguing destination for a variety of interests. The ability to explore not only on foot but also by boat and horseback allows visitors the opportunity to see more varied and diverse wildlife from different perspectives. It’s possible to visit the Pantanal year-round, but those hoping to see jaguars and other large mammals should consider planning their trip between July and September, during the late dry season. During these months, animals are more likely to congregate near waterways seeking food, making them easier to spot. During the wet season (December to March), travelers should be prepared for frequent rain and plan to seek out wildlife mostly by boat. January and February, in particular, are prone to flooding. Because the Pantanal is so large, most visitors access the area either from the north (via Cuiabá) or the south (via Campo Grande); both options are attractive for different reasons. In the south, travelers can easily access the ecotourism hub of Bonito. Popular activities here include caving, rappelling, and snorkeling in crystal-clear water. The deciduous forests of the Macaw’s Sinkhole is an excellent place for observing and photographing dozens of Red-and-green Macaws, plus other bird species like the Blue-crowned Motmot, the Blue-headed Trogon, and the photogenic Toco Toucan. In the north, the nearby Chapada dos Guimarães National Park is geologically interesting, with cliffs, caves, sandstone formations, canyons, and waterfalls worth exploring. Additionally, more than 40 archaeological sites have been documented within the park, including cave paintings and fossils. Of course, if you have time, visiting from both the north and the south offers the best of both worlds for a more comprehensive experience. Two factors make travel particularly attractive right now. First, recent policy changes have made it easier for US travelers to enter Brazil. Previously, travelers were required to obtain a visa either in person at one of the Consulate General offices or hire a representative to go in their place. The application process was cumbersome and time-consuming, and necessitated a $160 “reciprocity” fee in addition to the visa fee. Earlier this year, Brazil did away with the reciprocity fee and streamlined their visa process. Now, a $45 visa can be obtained easily online and is valid for multiple visits. Secondly, Brazil has become less expensive for US travelers recent years as the US dollar has strengthened against the Brazilian real. Has the Pantanal been on your destination watch? Whether you have an interest in photography, botany, birding, or natural history, reach out to Holbrook if you are interested in learning more. Contact Christopher Bensley at chris@holbrooktravel.com.